Take the Lead Dance Project is an in-school arts education social dance program. A professionally trained teaching artist partners with a classroom teacher in school for a 10 week course that meets twice a week for a total of 20 classes. 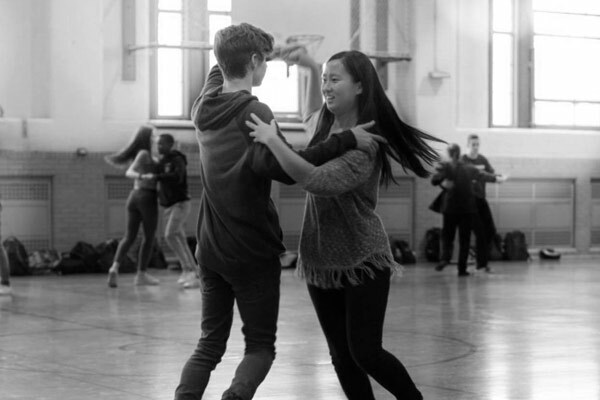 Students learn partner dances such as Merengue, Foxtrot, Bachata, Salsa, Swing, and Tango. Line Dances such as the Cha-Cha Slide and the Cupid Shuffle will also be taught. Take the Lead Dance Project’s social dance syllabus meets the PA Arts and Humanities Standards for learning dance in high school grades 9-12. Production, Performance and Exhibition of Dance- The students will present all dances that were taught during an in school performance at the end of the course. The syllabus includes a group choreography session. Students will create, perform, and critique their own work as well as the work of their peers. Historical and Cultural Contexts- Social dance contribute to artistic, social, religious, cultural, and even political realms. Students are able to explore these areas of different cultures through learning the dance related to that group. Critical Response- Students are assigned a verbal and written critique of the group choreography projects. Aesthetic Response- A written essay will be assigned on what effects social dance has on them as young adults. A field trip to Society Hill Dance Academy, Philadelphia’s premier Ballroom Dance Studio, is offered during the course. This visit gives the students a unique learning experience. A two-hour community workshop is offered during the course. 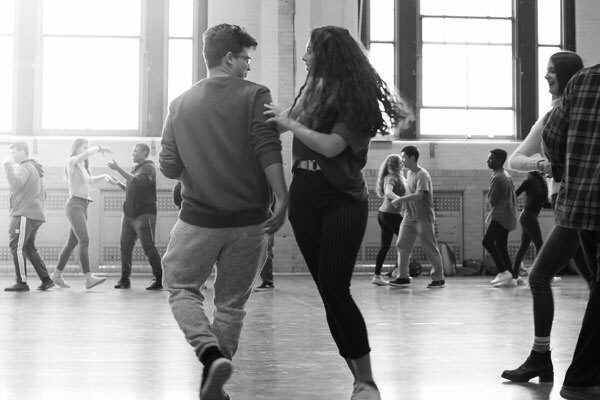 This class gives parents, teachers, and students the opportunity to engage in dancing together to build a stronger school community while delighting in the joy of dance. The course ends with a performance that is held on the 20th class. School staff, students and families are invited to attend. Traditional social dance instruction defines roles of a lady and a gentleman. Our syllabus is innovative as it provides gender-sensitive terminology so that all students can identify with and enjoy social dance. The class structure is set up with two dancing circles, an inside circle and an outside circle. The inside circle partners with a member from the outside circle to create a dance “team.” Our students are invited to choose the circle they would like to dance on. Take the Lead Dance Project is all-inclusive; that is, there is no audition, and all students are encouraged to participate. We need a clean well-lit uninterrupted space for instruction. A gym, cafeteria, or auditorium stage is ideal. Please contact: tracy@taketheleaddanceproject.org to start your program today! © 2019 Take The Lead Dance Project. All Rights Reserved.